Commonly used for voltage stabilizers, regulators and surge suppressors for device protection. Zener diode is crucial for any lab experiment because it maintain the breakdown voltage when a controlled current is applied. It permits current to flow in the forward direction as normal, but will also allow it to flow in the reverse direction when the voltage is above a certain value. 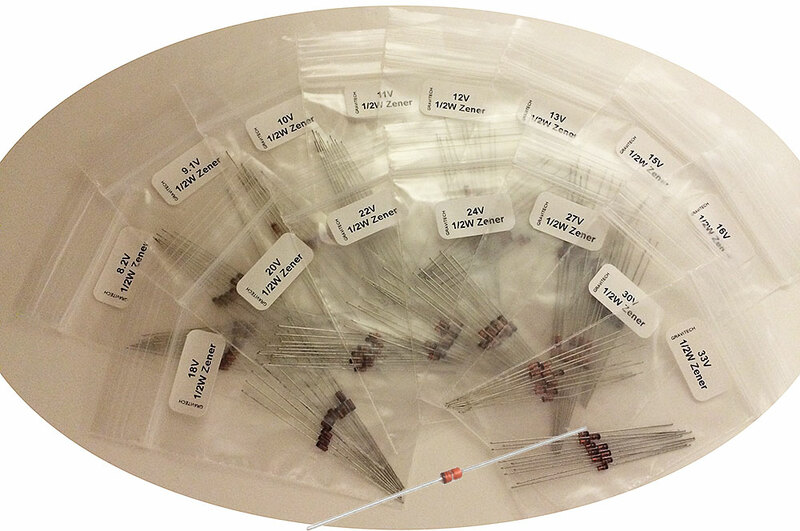 Each bag is neatly label with its own individual voltage value for your convenient! Ready to be use in the lab experiment!